You do not need to feel small because you lack something. “Because I was slow in understanding concepts, bad at studying, and always short of money, I decided that I would try harder than others for my whole lifetime. Also, I always tried to serve others with modesty. For me, these shortages were not a reason for giving up or falling into despair, but rather, it was a source of challenge and success.” said Choi Byung Oh, president of Fashion group hyungji. This summer vacation came after I had finished the first semester of my third grade and after publishing the 133rd and 134th edition of the Gachon Herald. As the summer holiday started, I looked back on myself and I thought that I was still lacking in many ways. Like President Choi Byung Oh said, when we feel like we are lacking in something, we should not give up, but make more of an effort. I did not know that before. Maybe there are many people who are frustrated for the same reasons that I mentioned above or for other reasons. We cannot always be perfect, but we can try our best all the time to make less mistakes. By doing so, I believe that we will find success someday. Furthermore, let’s look back at ourselves regularly, say good things about ourselves when we do any good job and say, ‘You can do better than this’, to encourage ourselves. And let’s think about ways to fill our shortages and ask somebody for advice. Isn’t it too early to give up everything because you feel small? 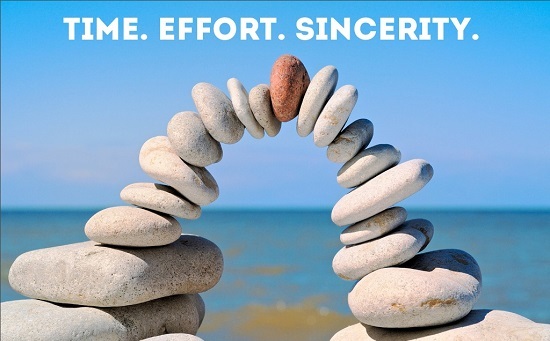 ‘Effort’: do not forget this word.